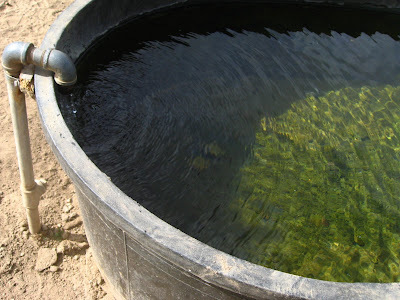 This water trough is on one of the trails of the Santa Rosa Plateau. The plateau is a wonderful nature preserve used by bird watchers, hikers, mountain bikers, horsemen, and photographers, among others. Thank you to 2SWEETNSAXY of Eyes Mind Heart, for hosting this meme. Ohhh, I really really love that first picture Jan!! Oh,wow! Great shots! I really like that first one but the second one has great points too. I like the shadow in the water and the ripples in the water. Oh wow! Such creative shots! I love it! I like the first one. That is so nice. Great capture. Thanks for sharing! Love the photos. Thanks for visiting my site. To answer your question, we have two boats, the Four Winns Ski Boat in the photo (for fun) and a pontoon boat (for fishing). I had just gotten out of the ski boat and into the pontoon boat to take some pictures. Great photo of the water close! 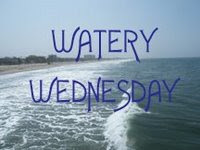 perfect post for watery Wednesday. Wonderful Photos! 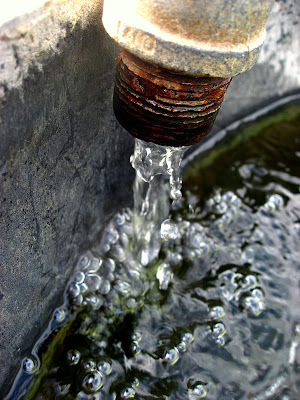 I love water features in a garden. Thanks for stopping by my place. Take Care!! Both lovely - great perspective. Jan, I love that first shot of the water coming out of the tap! Great colours (in the tap) and textures (in the bubbly water)!